After a weekend off, the Blokes are back to get you set for round 8’s Thursday lockout. 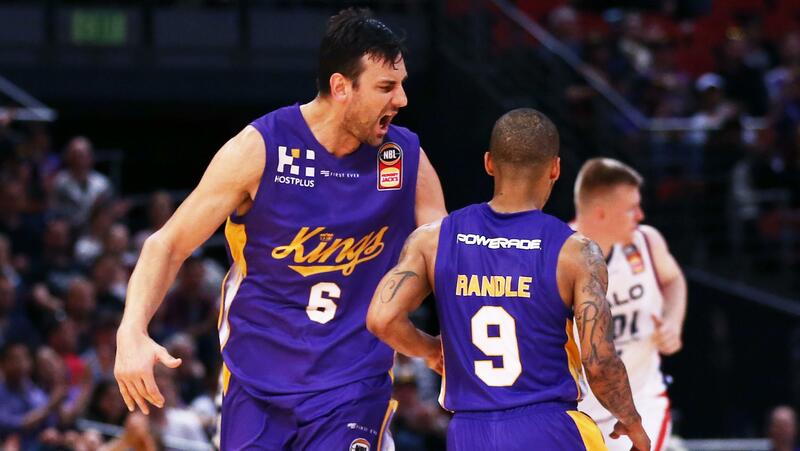 Benny, Banksy and Boydie, AKA the BasketBall Blokes, here for your Round 8 NBL Fantasy guide. We had a week off in NBL fantasy with the Boomers successfully qualifying for the FIBA world cup. We have already done a post round 7 podcast which also includes some flashbacks to some of our early season calls which have turned out to be pretty humorous. Have a listen below! This week’s podcast will focus on the upcoming round 8 slate of games. As per usual let’s take a look at the price changes from the last round of play, trade targets and the all important captain targets! These players have received major price rises after round seven. Only four players received the maximum price rise with Andrew Bogut missing out on the maximum price rise for the first time this season. Plenty of popular bargain picks in Norton (15%), Steindl (19%), Naar (27%) and Bowen (54%) make the list. These players have had the biggest price drops for the round. Whilst price drops are not something that we normally like to celebrate; when the likes of Newbill and Gus Brandt drop in price with their good upcoming schedule it should bring a smile to the fact of future owners. The one that hurts here is Banksy’s number 1 captain choice from last week in Shawn Long dropping $94K. This particularly hurts the Basketball Blokes joint team. A popular move this week would be Long to Bogut. Our other joint team trade was going to be Illy to Randle. The combination of Illy dropping $22K, Long -$22K, Randle up $21K and Bogut up 91K has meant that we miss out on the move by $1K. Absolute disaster! Alright, we know the deal; you want to bring Bogut in because he is ripping it up and has a pretty good schedule for the rest of the year. But you need cash to bring him in, so what do you do?? Well we are going to run through a few options for downgrades to help you out! Here we go! If you are lucky enough to still have $1m or $1.2m to spend on your downgrade then there are some super looking options at the moment. Firstly you have Randle, he has 3 doubles in a row like Bogut and he is averaging 42.67 over his last 3 games. Another one from the Kings to look at could be Newley, after a poor start to the year fantasy wise he has averaged 37 over his last 3 games and has come down to a reasonable price of $1.08m. If you’re thinking schedule is important, for downgrades you are defiantly looking at Perth players as options, in this space you have Terrico White who is coming off 81 Rd7 points (double game Rd for Perth) and is only valued @ $1.12m. The risk here is whether his big score in the second game last week was due to Cotton’s absence from the team. Another Wildcats option is Mitch Norton who is averaging 39 over his last 3 and 36 over his last 5 games and is only $980k! Once again, the risk with Norton is the return of Damian Martin to the Perth side once he is back from injury. This is probably the option the Basketball Blokes joint team will be looking at seeings we can’t afford Randle. You short of cashola and need to look at cheaper options? Ok here are some bargain priced players that could be worth a punt. Now with these picks, schedule is less of a thought as we are looking at bench players basically so not going to hurt as much if on singles, rather than doubles. Devon Hall @ $840k just sneaks in here. Boydie has been waiting for him to show his worth as an NBA Draft second round pick and it seems he is turning his form around, with an average of 34 over last 3 games and 25 over his last 5 games, while he plays 5 games over the next 3 weeks. Greg Hire is averaging 24 over his last 3. With all the Perth doubles over the next three weeks, he is another option – however his minutes may reduce once Martin, Cotton and Gus are back in the rotation. Waxy Walker! We have been watching Waxy as you would have heard in our podcasts for the last couple of weeks and with averages of 24 and 21 over his last 3 and 5 respectively – could be an option @ $730k. If you’re looking for super cheap options, hard to go past Dan Grida of the Hawks, with 5 games in 3 Rds coming up. There schedule is solid and Dan has averaged 21 over his last 3 games, 19 over 5 and is only $390k. The kid has skills and we think he has a big future in this league! Adnam, Steindl and even Armani Moore could be options at the lower price point too. Let’s be honest. We could do a top 1 or top 2 the next three weeks with Bogut being a no brainer. For what it’s worth though, let’s take a closer look at the top 5 this week, just in case you don’t have a Bogut in your team, or you want to go ultra unique! 5. DJ Kennedy – Back to Back games against the Bullets this week. 33 fps last time out against the Bullets. 54 fp average over his last three games. 4. Melo Timble – Takes on the Hawks at home. Last match-up was in Illawarra where he put up a 40. Then plays Perth away. The last time Trimble played Perth, was the infamous 4 point buzzer beater game to take it to OT. He put up 60 fps in the same game and was just 3 assists shy of a triple double. 3. Josh Boone – United have the Bullets and away and then the Bullets at home. Only 34 fps last time out, but this was somewhat during Boone’s injury run. What we like here, is that he has put up an 87 and a 70 within his last four games, and is one of the only guys in this league that can go big. Try your luck if your after that ceiling and are a non Bogut owner. 2. Nick Kay – How is this man 17% owned!?? One game under 50 in his last 8 and averaging 63 fps in his last 5 games! And that schedule! He plays Sydney away who he is yet to play, followed by Cairns at home – where he scored a 50 in an away game last time out. If you can’t fit Bogut in your team this week, Kay has to be your go to. 1. Andrew Bogut – If your one of the few who are still unconvinced simply by looking at Boguts fantasy average this season, let me throw these numbers at you. He plays Perth at home – No he hasn’t played them yet, but over 4 home guys this season, he has averaged a whopping 74 fps per game! He then plays New Zealand, who he put up a huge 90 against earlier in the season, where he crushed Long and was just 3 assists short of a triple double. This week he is a no brainer. If he is in your team, he is your captain! All teams bar Adelaide and NZ are on a double. However, only Perth and Sydney are on a double next week, as well as being on a stretch of three weeks of doubles. Get these guys in!